The president announced the news on Twitter, and it is still unclear what the shakeup means for Cerner’s pending deal to overhaul the agency’s EHR. President Donald Trump ousted Department of Veterans Affairs Secretary David Shulkin, MD, from his role on Wednesday after months of turmoil within the agency and reports the secretary had fallen from the president’s graces. The president made the announcement on Twitter, saying that he will nominate his personal physician Rear Adm. Ronny L. Jackson to replace Shulkin. Robert Wilkie, Department of Defense undersecretary, will serve as acting secretary in the interim. Shulkin was the remaining holdover from the Obama administration. His removal comes amid a broader staffing shakeup within the presidency, including the removal of National Security Adviser, Lt. Gen. H.R. McMaster and Secretary of State Rex Tillerson. The firing doesn’t come as a shock. 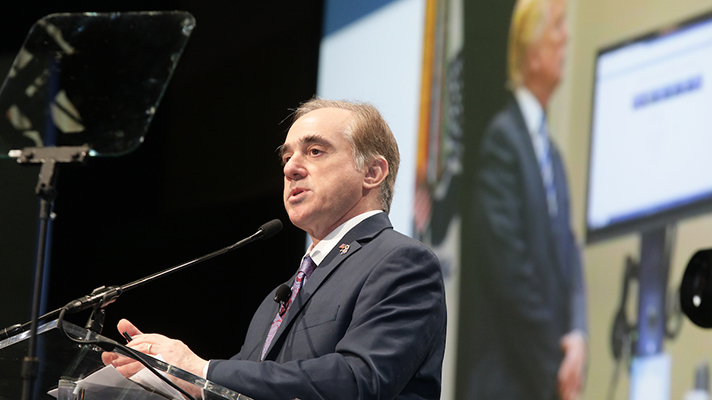 Reports have been swirling for more than a month that Trump had lost patience with Shulkin, stemming from a negative VA Office of Inspector General report that claimed Shulkin misused federal funds on a summer European work trip. The tension mounted when Shulkin made claims to the media that he’d been given authority to fire misbehaving VA employees. Shulkin is liked on both sides of the party aisle, and his work to modernize the agency has been commended by Congress. In his short tenure, he’s helped to pass 11 Congressional bills, all designed to bring change to the scandal-ridden agency. He also launched a 24-hour hotline for veterans’ complaints, created a platform for tracking wait times at VA medical centers, worked to ease the backlog of benefit applications and jump-started the ambitious Anywhere to Anywhere telehealth program. At the moment, there’s no word on if, or when, the agency will sign its planned contract with Cerner to replace the agency’s legacy EHR.